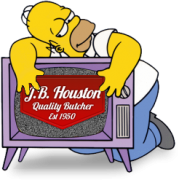 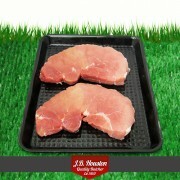 Premium pork, traditionally cured and sliced for old-fashioned bacon that won't shrink in the pan. 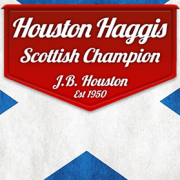 Scottish bacon, low water and salt content. 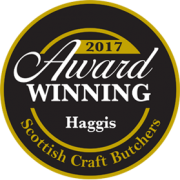 Ayrshire middle, smoked and unsmoked. 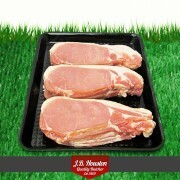 Smoked Back Bacon - 250g (6 Slices) Traditionally smoked, this bacon is the business! 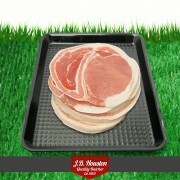 Only prim..
Unsmoked Back Bacon - 250g (6 Slices) Traditionally cured and sliced for old-fashioned bacon tha.. 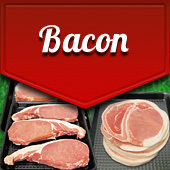 The water content of the finished bacon is zero, so this is not bacon that splutters out milky liqui.. 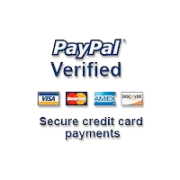 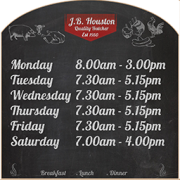 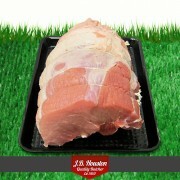 Horseshoe Gammon Joint minimum weight 1500g You will find that there is more fat covering tha.. 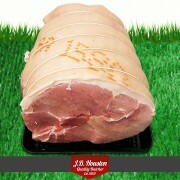 Horseshoe Gammon Half Joint (750g) You will find that there is more fat covering than normal.. 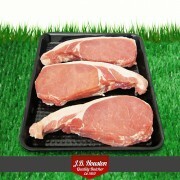 Horseshoe Gammon Steaks per steak - minimum weight 250g The taste is how pork should be, sweet..